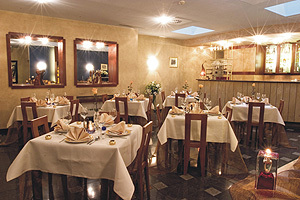 Located in the Old Town of Krakow, the Classic hotel is modern 3 star establishment offering personalized service. The hotel is only 5 minutes from the Main Market Square and Sukiennice Hall in Krakow where guests will admire marvelous renaissance architecture. At the same time the Planty Gardens keep the hotel away from the noise of city traffic. 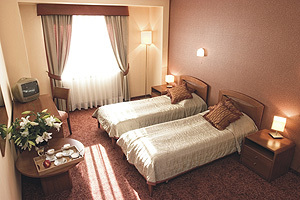 The Classic Hotel Krakow offers 73 beds in 25 elegant and spacious double bedrooms (also available for single use), and 5 junior suites. All rooms has a full private bathroom with bath tube or shower,TV Sat, telephone and internet data port. Guests will enjoy modest but cozy interiors designed by famous Danish architect Klaus Jensen that perfectly combine classic style and modern amenities. The hotel has a restaurant with bar. The nearest parking lot for buses is only 50 m away from us. The professionally trained staff takes care of you during the stay in our hotel. 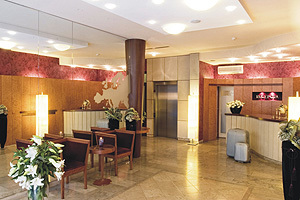 The hotel is situated 50 m away from the city center, 100m away from the main train and bus station (5 minutes on foot). 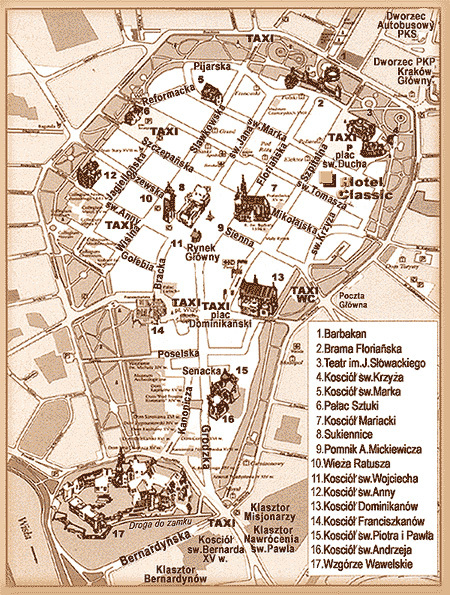 The nearest parking lot is located about 50 m away from the hotel on Westerplatte 15 close to Wyspianski hotel (Dom Turysty).